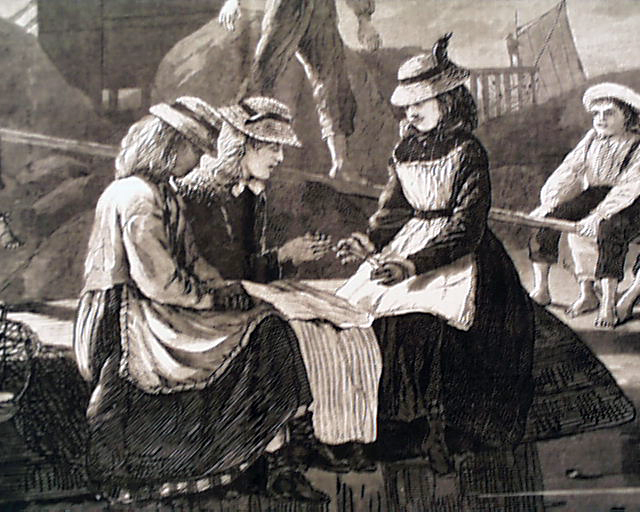 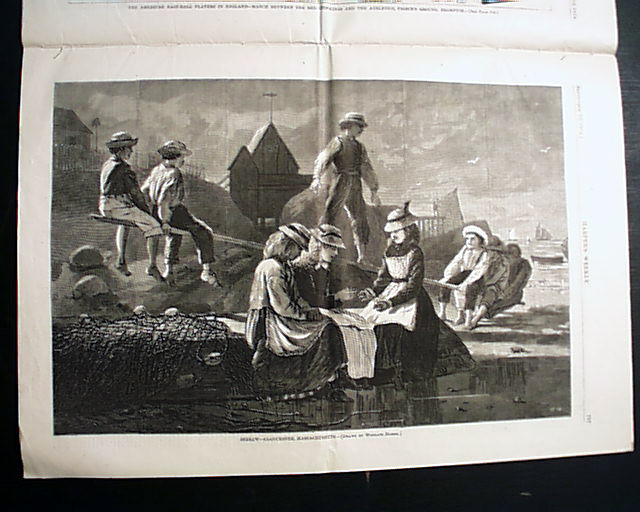 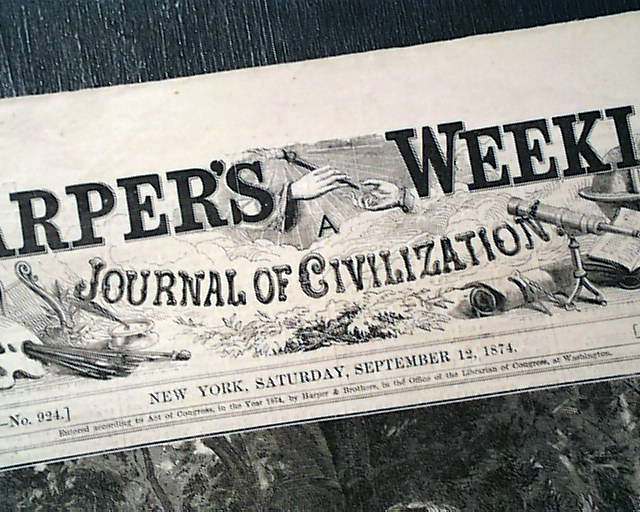 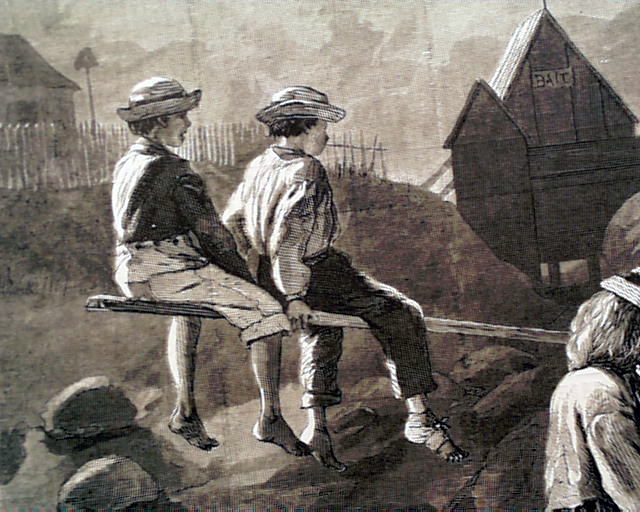 HARPER'S WEEKLY, New York, September 12, 1874 Although there are many very nice prints within this complete, 16 page issue, by far the most desired is the very nice full page print by Winslow Homer titled: "Seesaw--Gloucester, Massachusetts". 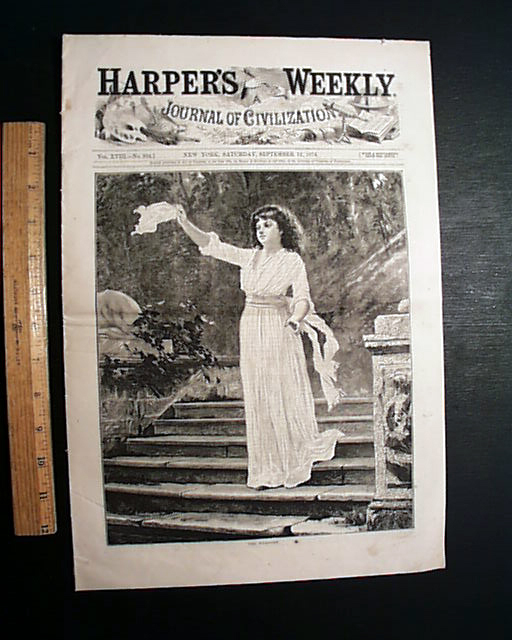 Also included in this issue is a nice fullpg. 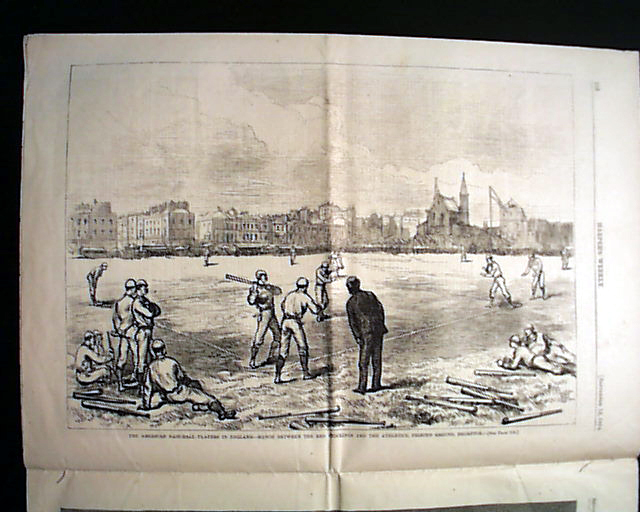 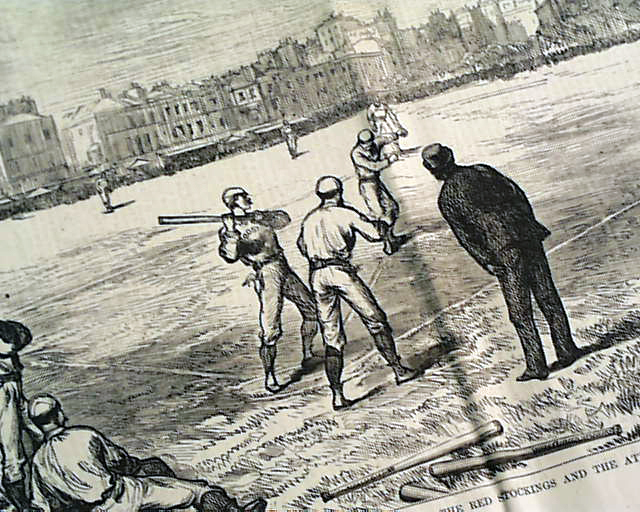 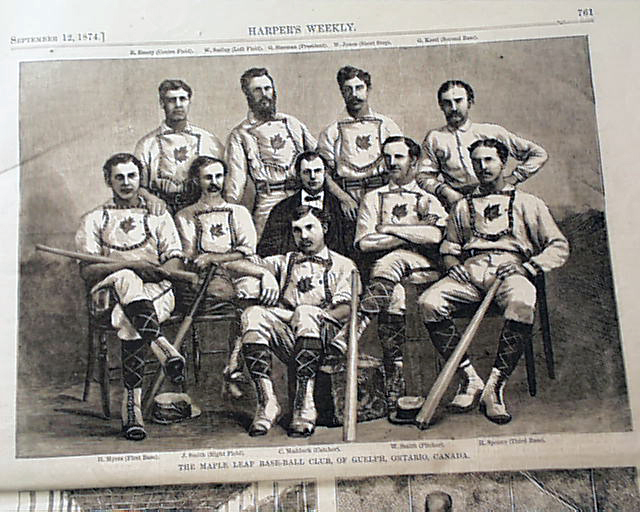 print: "The American Baseball Players in England--Match between the Red Stockings and the Athletics..." as well as a very nice half page baseball print captioned: "The Maple Leaf Baseball Club of Guelph, Ontario, Canada" showing the players in uniform with bats (see). 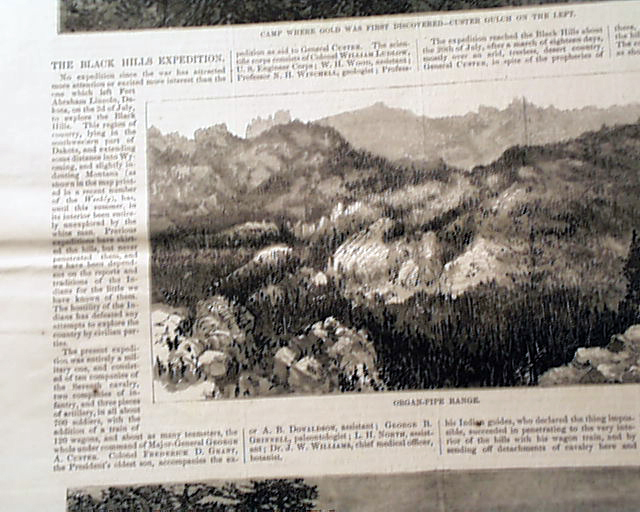 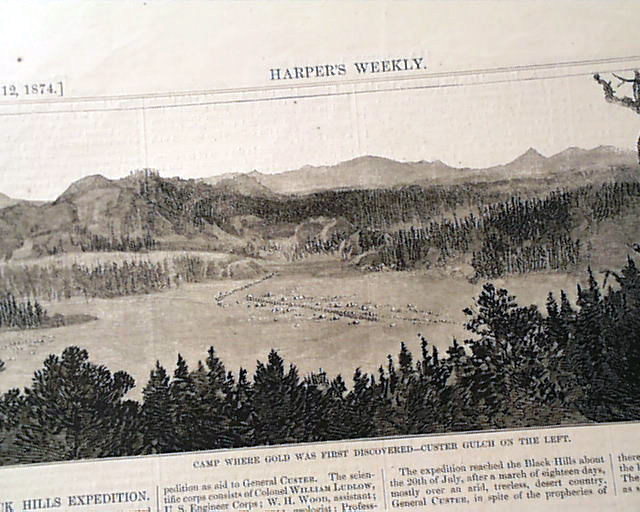 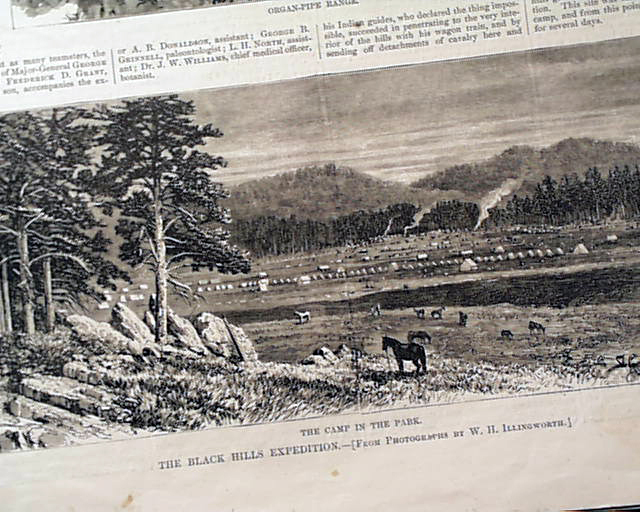 Additional prints include 3 on the: "Black Hills Expedition" including: "Camp Where Gold Was First Discovered--Custer Gulch on the Left", "The Floating Hospital of St. John's Guild", a halfpg: "Limestone In Kansas", full front page: "The Welcome", halfpg. 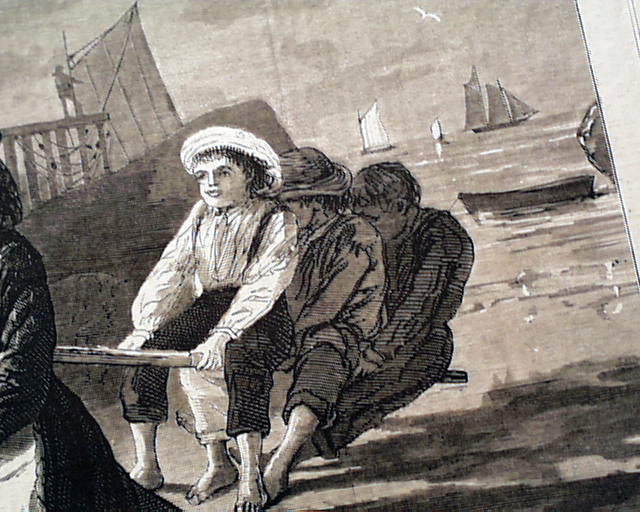 of: "Pearl Fishing at Ceylon" and a few smaller prints.